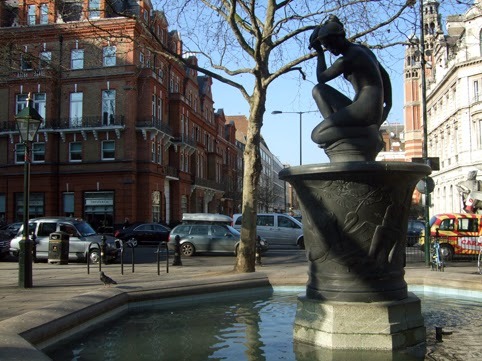 This statue of Venus, the Goddess of Love, adorns a fountain in London's Sloane Square. The statue was designed by sculptor Gilbert Ledward. On its basin is a relief which depicts King Charles II and his mistress Nell Gwynn by the Thames. Apparently Nell Gwynn lived in a house nearby. With Valentine's Day this Friday, this week I'll be be posting a few things on the theme of love.